Retailers deeply understand the direct impact customer service experiences have on business outcomes. Modern technology has created drastic changes for both shoppers and stores. Online stores, social media, mobile shopping, and shopping apps have all impacted the way retail companies interact with their clientele, markedly increasing the focus on customer service within an industry that has always excelled in this area. 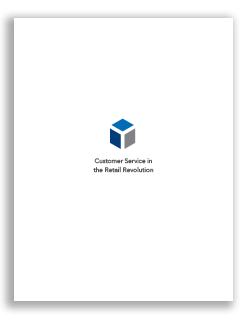 This paper, based on 15 interviews with customer service leaders around the world, examines practical implications for retailers operating with heightened customer expectations in an environment that is more global, and public, than ever before. We examine both the opportunities presented and the challenges faced by modern retail technologies and trends, with a specific focus on social media, holiday shopping, and customer advocacy. Use this link to download the report.